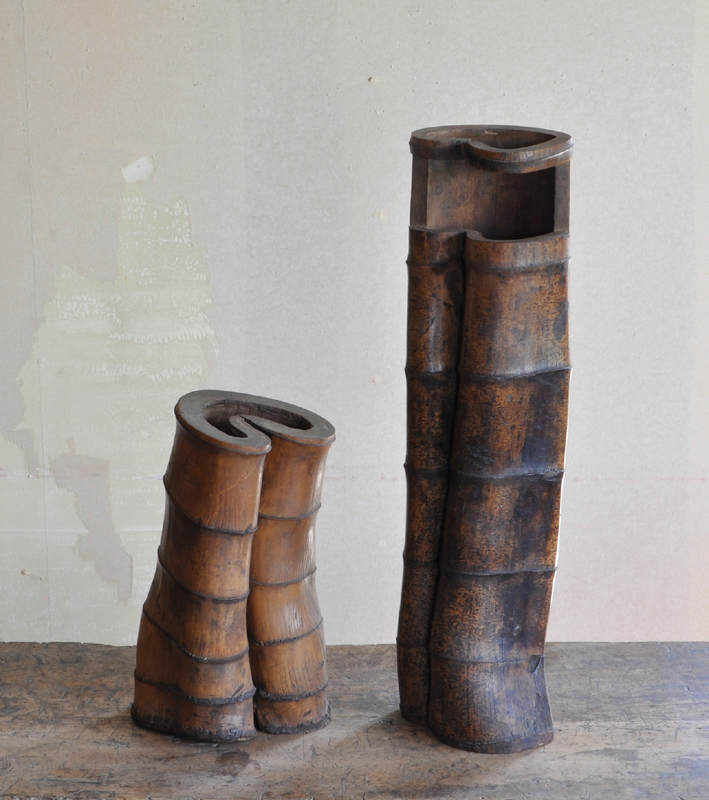 WABI AND SABI (Dealer: hotoke antiques) – Two pieces of naturally deformed ‘susudake-kakehanaire’ (hanging smoked bamboo vase) of quite unique abstract Japanese flower utensils treasured and handed down through the generations among predecessors (connoisseurs) as ‘denseihin’ for ikebana flower arrangement. 19th – early 20th century. Not attached with inner cylinders for water (‘otoshi’). In aesthetically matured condition as is, with some aged damages as seen.